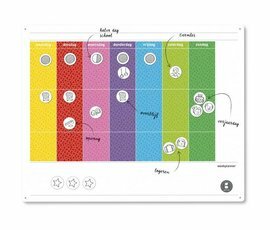 The weekly planner gives the child and parents an overview. This planning board shows at a glance what the week will bring. 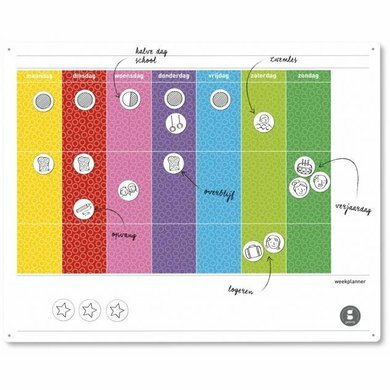 The weekly planner is a colorful planning board for one child, from about 3 to 10 years. 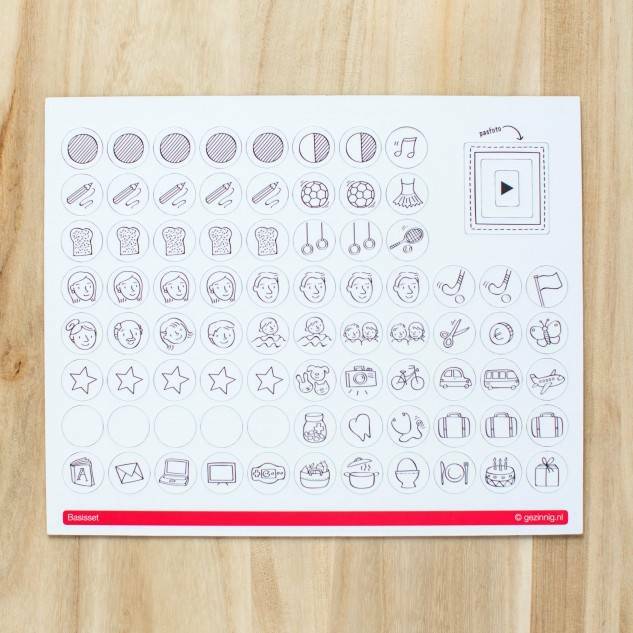 The planning board comes with basic set of 80 magnets with icons. 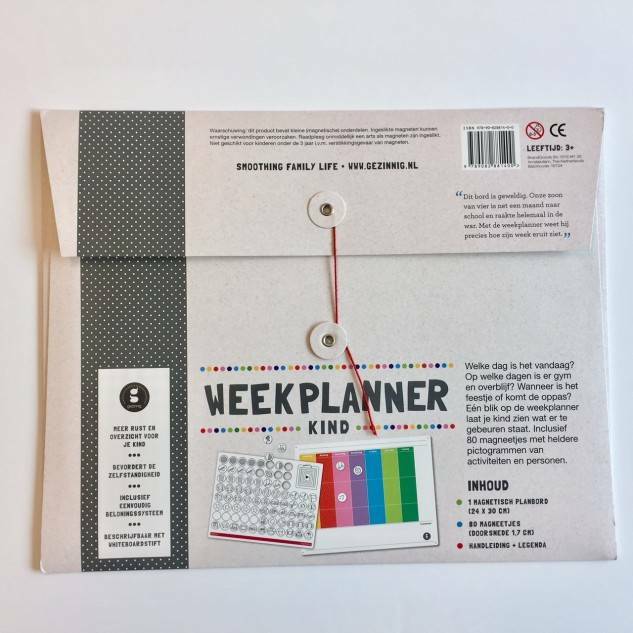 Why choose a weekly planner? Hold and rest. The weekly planner ensures that children can oversee the week. Well or no school, when to swimming lessons or the birthday party. Independence. Children get more sense of time and by helping to fill in the weekly planner and looking at it, the individual responsibility is stimulated. Prepared. Even with less fun things, such as a visit to the dentist, a weekly planner works pleasantly because your child is not raided. If a child is prepared for exciting events, the activity itself is usually less difficult at the moment. Fun. In addition to the educational functions, the weekly planner is also fun. It is a cheerful overview that can be drawn and 'pushed' to your heart's content. 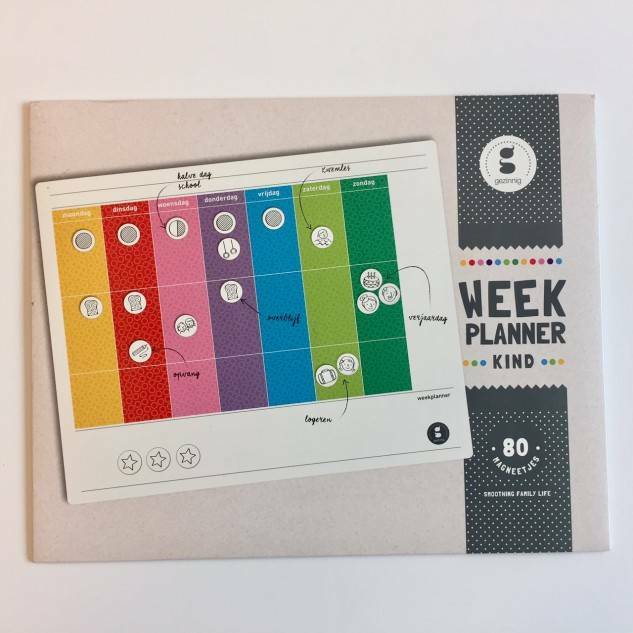 Extra function: you can also apply a simple reward system with the weekly planner.